The equivalent of one and one-half months’ rent may be charged for the security deposit. If additional security is collected annually, the increase may not exceed 10% of the current deposit. The landlord is required to disclose the name and address of the financial institution where the deposit is being kept, the type of account, interest rate, and the amount of the deposit. New Jersey security deposit laws do not apply to owner-occupied buildings up to three units unless the tenant wants to exercise his or her right to have such laws apply. If so, the tenant must give a 30 day written notice to the landlord exercising this right. If there was a fire, flood, condemnation or mandatory evacuation of some sort, the deposit must be returned with 5 days. Otherwise, a landlord must return the tenant’s security deposit within 30 days after the tenant has moved out and returned the keys. 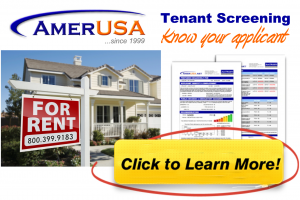 Interest is required to be paid to the tenant either once a year or as a credit off of the rent. Every time the landlord pays or credits the tenant interest, he or she is required to provide the name and address of the financial institution where the deposit is kept, the type of account, interest rate, and the amount of the deposit.